Inspector Unai López de Ayala, aka Kraken, has a difficult case to crack: two 25 year old women have been found murdered in Vitoria, placed in a strange position and surrounded by different ritual elements. All the clues seem to indicate that there is a connection with other crimes that terrorized the city twenty years before, whose victims were of specific ages and appeared to be linked to historical cycles. At the time the case ended with the arrest (by his twin brother) of Tasio Ortiz de Zárate, an internationally renowned archaeologist, famous from his TV appearances and well-loved in the city. Now, his imminent parole would appear to have instigated new crimes. 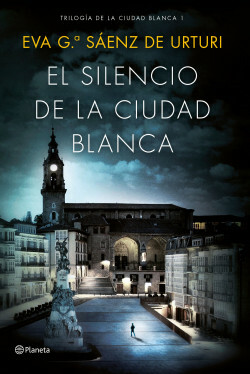 A gripping, surprising thriller set in the literary city of Vitoria with many different twists and surprises, an absorbing plot and an unsettling supernatural element. Sperling & Kupfer (Italy), Fischer (Germany), Muza (Poland), Lua de Papel (Portugal), Itzok Zapad (Bulgary), Knihy Dobrovsky (Czech Republic), A.W. Bruna (The Netherlands), Psichogios (Greece), Intrinseca (Brasil), Knopf & Vintage Español (USA), Fleuve Éditions (France).